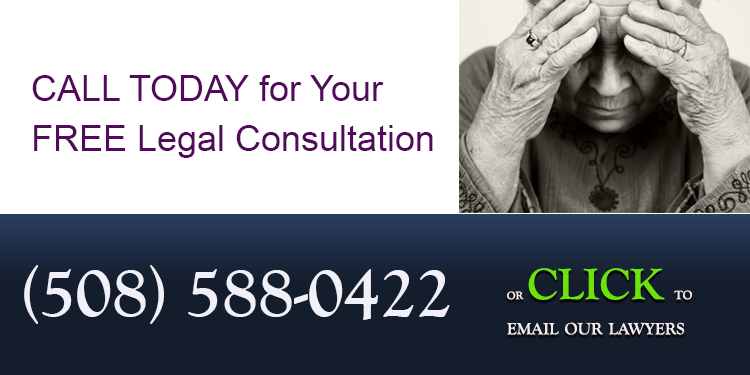 Nursing Home Neglect and Elder Abuse Personal Injury Attorneys, Free Consultation. No fee if no recovery. Serving all Massachusetts, New Hampshire, Rhode Island. Did your loved one wander off and suffer harm due to nursing home neglect? When a loved one is admitted to a nursing home, it is often because we cannot provide the level of care that he or she may need at home. By entrusting our loved ones to a nursing home facility, we expect them to be kept safe and to be taken care of properly. When nursing homes are understaffed or do not have the proper patient protocol in place, some patients may wander from their rooms or even from the facility. This wandering can lead to dangerous situations that can cause injury and/or death. Wandering occurs when a resident with a cognitive impairment like dementia walks away from an area without permission. Wandering residents nearly always have some form of cognitive impairment. A nursing home resident that is wandering, which is different than elopement, is not trying to escape the facility. They are simply moving about in a nursing home. A wandering resident that happens to leave a facility usually does so because she or he finds an unsecured exit. Up to 65% of nursing home residents wander. What Patients are Prone to Wandering? Diseases that cause cognitive impairment can often impair a person’s judgment. Patients suffering from these types of diseases are often prone to wandering, which can put them in extremely unsafe circumstances leading to injury and/or death. Sadly, cognitive impairment is a concern for many older adults. Dementia, including diseases like Alzheimer’s, affects millions of Americans. According to the Alzheimer’s Association, someone develops Alzheimer’s in the United States every 66 seconds. In total, the organization says over 5 million Americans are currently living with Alzheimer’s and that one in three senior citizens die with some form of dementia, including Alzheimer’s. The organization estimates that by 2050, nearly 13.8 million people may be living with Alzheimer’s unless preventative measures or a cure can be developed first. Patients that suffer from these types of conditions may wander from safe areas of the nursing home or from the facility completely. Doing so could put patients in danger as they may wander into stairwells that they cannot physically manage, into storage areas with dangerous chemicals and other obstacles, or even into traffic. Nursing home facilities that accept patients with these conditions should have protocol in place to protect these patients from the potential harm that comes with them wandering off. 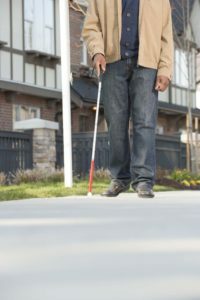 While patients with these types of conditions are more prone to wandering, it is possible that any patient could wander into an unsafe area if not properly monitored. When Might a Nursing Home be Liable for a Patient’s Wandering? By ensuring that patients are monitored appropriately, especially those with conditions that make wandering a heightened concern, nursing homes can ensure that they do not wander into unmonitored or unsafe conditions. Each individual patient has individual needs, and patient care plans should reflect those needs. When those needs include ensuring patients do not wander off, especially with patients who have a history of doing so, a nursing home could be liable for failing to protect them. Nursing homes that have allowed patients to wander because of staffing or improper safety precautions can also be liable. Doors should be locked and door alarms or sensors used to alert staff when doors leading to dangerous conditions have been opened. In most cases of nursing home abuse and neglect, a personal injury attorney can help investigate the circumstances of your complaint to determine if a nursing home might be liable for something like a patient wandering off and possibly getting injured or killed. If your loved one was allowed to wander from the safety of a nursing home facility, contact our lawyers to schedule a FREE consultation where you can review the circumstances of the incident and find out more information about the nursing home’s potential liability.